It's going down tomorrow night in Brooklyn with Trumpet Grrrl! I always feel so zen when I'm hanging around Christina and tomorrow night should be no exception. So excited to hit the studio with PitchBlak tomorrow. We are recording at the Bunker which is seriously my favorite studio in all of the world. In addition to amazing rooms and gear, the vibes are just perfect and make for an experience that I've yet to find anywhere else. 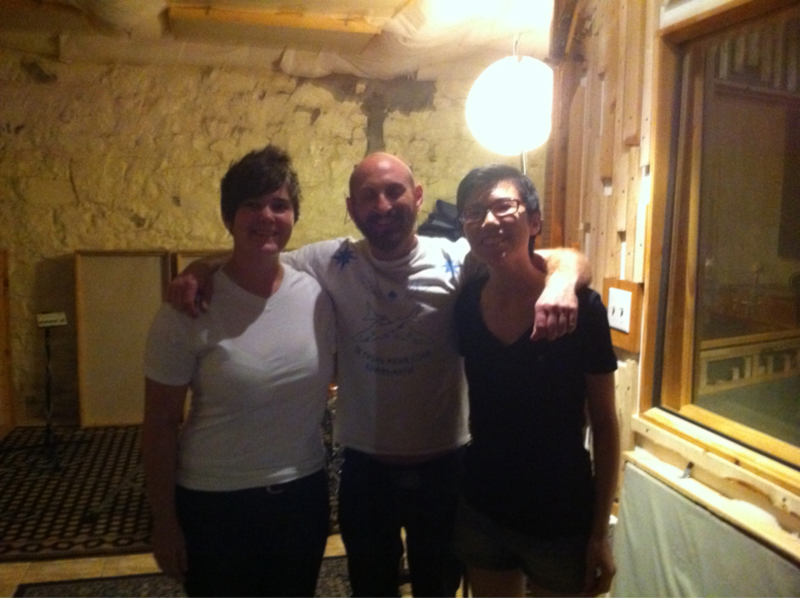 Here's a picture of me and Melissa with Aaron Nevezie (who is also tracking the PitchBlak record) from when we recorded The Beginning at the old Bunker. Also, check out this video of me and Melissa laying down some organ for the track, Learn to Say Goodbye. That was a musical experience that I'll never forget.